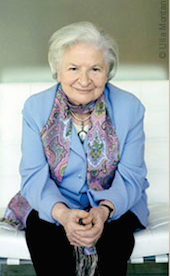 BBC's Great Lives: P. D. James. I was late in finding this, but this BBC Radio 4 Great Lives program on P. D. James features author Val McDermid speaking eloquently about the work and sometimes tough life of the late mystery writer. As McDermid recalls, "She was quite mischievous . . . she notably said that she believed the day should start by saying four or five politically incorrect things before breakfast." McDermid also reads a chilling excerpt from A Shroud for a Nightingale. Foxwell on American women in World War I. 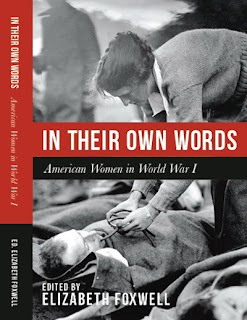 Over on Ed Gorman's blog I discuss my new collection In Their Own Words: American Women in World War I, describing its background, mentioning some of the women featured in it, and discussing their varied roles in the war. As I explain, "I set out to collect first-person accounts of U.S. women that dated from the war period, wanting the immediacy and the 'I was there' point of view." Mystery fans will be pleased to find two pieces by Mary Roberts Rinehart included in the collection (publication date is September 25). 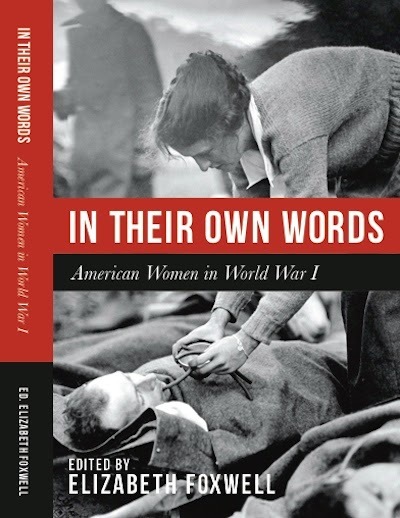 There is an additional resource: my new blog, American Women in World War I, where I cover women for whom I could not find a first-person account. James Mason is the star and one of the producers in this tale of a British brain surgeon seeking vengeance after he discovers who is responsible for the death of the woman he loves. The continuing contribution of Eric Ambler. The protagonists of Ambler's novels aren't the hearty public school patriots who stride through the pages of John Buchan.
. . . Ambler's novels are unsettling in a number of ways. W. R. Burnett, Dark Hazard (1934). 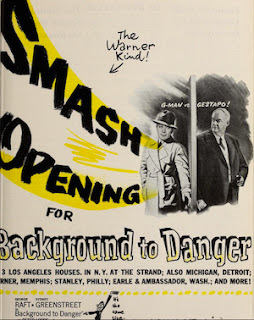 This promotional trailer for Dark Hazard (a film about a gambler) not only features the film's star, Edward G. Robinson, but also the novel's author, W. R. Burnett (Little Caesar, High Sierra, The Asphalt Jungle), and Burnett's dog. "What’s the trouble?" inquired the judge. 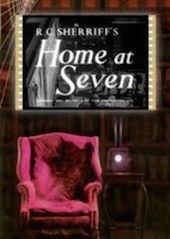 Home at Seven (aka Murder on Monday, 1952). 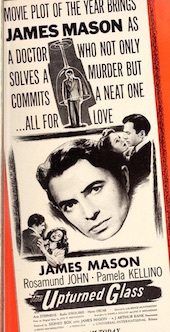 In this film directed by Ralph Richardson and based on a play by playwright-screenwriter R. C. Sherriff (Journey's End, The White Carnation; screenplays for The Invisible Man; Goodbye, Mr. Chips; No Highway in the Sky; etc. ), Richardson is a bank official with a missing day in his life, and signs seem to point to his involvement in theft and murder. Margaret Leighton and Jack Hawkins costar. New scholarly edition of The Lodger (1911). 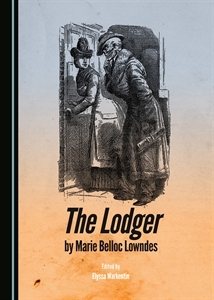 On September 1 Cambridge Scholars Publishing will issue a new scholarly edition of The Lodger by Marie Belloc Lowndes—a novel in which a landlady becomes suspicious of the activities of her tenant. It became a noteworthy early film by Alfred Hitchcock. The editor is Elyssa Warkentin (University of Manitoba), who has brought together The Lodger's original 1911 appearance in McClure's magazine and the 1913 novel version. It's an appropriate project for Warkentin, who had an article in Clues about early Jack-the-Ripper fictionalizations. In honor of tomorrow's birthday of Swedish crime writer Per Wahloo (1925–75, best known for the Martin Beck series cowritten with Maj Sjowall), here is the trailer for The Assignment, the film based on his novel of the same name. This tale of South American intrigue stars Christopher Plummer, Carolyn Seymour, and Fernando Rey. BFI infographic: What makes a film noir? This whimsical infographic from BFI attempts to define the elements that compose a film noir such as "script based on American pulp fiction" and posts its finding for "the noirest film ever."